Before the launch of MTV, it was difficult to imagine seeing your favorite music artists on a 24-hour basis, seven days a week. The music world at the time was a vastly different one, and there was no cable station that could broadcast music entirely without having some competition from other programming schedules. That system made news networks such as HBO and CNN sure successes, right from their launch, and music videos were not seen as things worth watching, or worth any value at all. That all changed with the advent of MTV. Coming with cheaper music videos, the initial thought was that it would not change the entertainment industry, and yet here we are. The evolution of music videos is all thanks to the network, and it is among the reasons we get to enjoy high-quality music videos today. However, in this time, more than 30 years later since its beginning, what has the network accomplished? And for the record, we do not just mean the good things it has done, but also the unpleasant effects it has led to, even though it is unknowingly. The creation of MTV allowed the record industry to change the packaging of bands and music artists, and to do this in a larger extent compared to previous years – made them more accessible, but came with other effects such as increasing drug abuse and alcohol withdrawal symptoms. That also led to the creation of the current phenomenon that is girl bands and boy bands, all packaged to appeal to teenage audiences and younger people. In fact, the rise of these groups is a direct effect of the cable network. Record companies found alternative methods to market their artists as well, through the use of music videos (even elaborate ones). They were also able to do this without the reliance of live performances, which was an important skill for past artists to have. This is among the more unpleasant realities of modern-day programming, especially from the mid-2000s going forward. MTV was however, at the forefront of the game, and they started reality TV long before the rest of the world caught up with them. In fact, they started a series in 1992, through a documentary-soap opera hybrid known as The Real World and Laguna Beach. In addition, a side effect of that reality TV was promoting ideals such as LGBT rights, since these shows began to feature LGBT cast members in prominent roles on the show. Love them or hate them, you cannot deny that pop culture among young people is largely influenced directly by boy bands and girl bands – they are one of the most concentrated forms of video culture. In addition, MTV effectively diminished the power of radio – that had a direct implication on the avenues bands would use to find success. In fact, it made TV to be the dominant source of searching and seeing new music, therefore reducing reliance on the radio – a major implication considering the powerful extent that radio has in America. The use of MTV enabled artists that would never have broken into the mainstream to do so, such as Duran Duran and Billy Idol, since their music videos were in circulation back-to-back on a repeating cycle. Since many record companies saw the potential of the network in increasing visibility for their artists, they started investing more in making music videos. 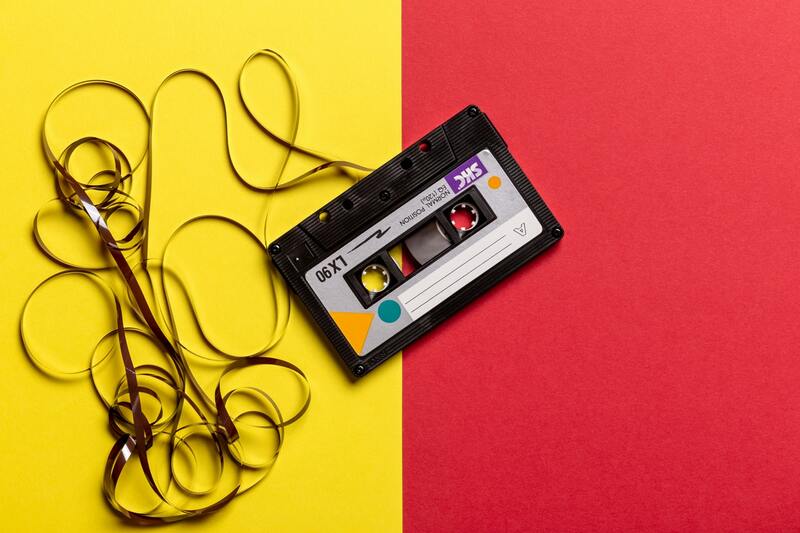 The music industry was changing rapidly in the 1980s because people were not purchasing records anymore, instead recording radio songs on cassette tapes or recording albums. This led to an extensive campaign that was against taping of albums, and MTV was partly the brainchild of the problem. The cable station was borne out of the backlash that the music industry was going through, thanks to the decreasing amount of sales. It ended up reviving interest in the public to purchase albums, since it was very effective in generating consumer interest in different artists. The flip side of the advent of MTV is the rise in reliance on music videos to promote an artist. While the cable network ended up bringing many bands and artists to public consciousness thanks to music videos, the same reliance comes to threaten developing talents who may not have the resources to do so. After all, the cost that is involved in producing a music artist and grooming them for music videos does not come cheap, and the company is less willing to support an artist whose success does not come quickly. European and British groups were ahead of their American counterparts, simply because the American record companies did not see making videos as a profitable venture, and they were not willing to back up their artists if they wished to. However, European companies would make short films that would promote their artists on video jukeboxes, which was a revolutionary technology at that time. In fact, the bulk of music videos that MTV played in heavy rotation were these European promotional videos, since there was not much material to work with. That meant that the earliest artists on the channel received a lot of exposure since they were guaranteed repetition – and a key beneficiary of this were British new-wave bands such as The Human Leagues, Duran Duran, The Cure, Tears For Fears, Depeche Mode, and Spandau Ballet. In addition, one band in particular defined the aesthetic for all music videos from the decade, and that was Duran Duran. Other American artists rose in profile and popularity as well, such as Michael Jackson, Madonna, Whitney Houston and Guns n’ Roses. This is one of the greatest ironies – the channel was a 24-hour music video channel, then it stopped the development of the video. In fact, as viewership decreased between the mid-90s and 2000s, the channel played less videos and started investing more in reality TV. Currently, the channel is a pale shadow of its former self, as it no longer plays music videos. We cannot deny the impact MTV has had on music videos and their evolution, but we also cannot deny that it came with unwarranted side effects that still stick around to this day, and have affected the consumption of music.